New data has revealed the fastest-growing suburbs in Australia, with properties in eight suburbs growing at a rate in excess of 30 per cent. Suburbs growing at a rate faster than 30 per cent per quarter can be found in Qld, NSW and the ACT, according to the latest quarterly figures from CoreLogic RP Data. Hughenden in Qld was the fastest-growing suburb in the country, recording a 33.33 per cent increased in median house prices following a recent dip. That figure was calculated on a median house price of $100,000. The number two spot went to Sunshine in NSW, which recorded a 32.88 per cent increase in median house prices to a current median of $485,000. Qld’s Kamerunga was the fourth fastest-growing suburb in Australia, recording an increase of 32.83 per cent in unit values. The current median unit price in Kamerunga is $352,000. 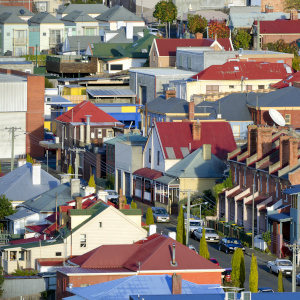 The next two fastest-growing suburbs were both in NSW. Despite their vastly different market values, Woodstock and Burwood Heights shared the fourth spot. Houses in Woodstock grew by 32.07 per cent to a median of $191,500. This was equalled by Burwood Heights, where the median house price grew by 32.07 per cent to $1,915,000. In a surprise performance, the ACT edged out NSW for fifth place, with houses in the Canberra suburb of Bruce increasing by 30.67 per cent to $980,000. Back in NSW, Waverton and Minnamurra edged also out the 30 per cent plus count. Houses in Waverton increased by 30.53 per cent to $2.33 million, making it the sixth fastest-growing suburb in the country; while houses in Minnamurra increased by 30.07 per cent to a current median of $850,000, making it the seventh fastest growing. That means that Vic, WA, SA, Tas and the NT all failed to make the list of suburbs that a achieved a rate higher than 30 per cent. Vic came close, with units in Burnley sitting on a current median of $420,000 – marking a growth of 29.23 per cent. SA also put in a strong showing, as houses in Bowden increased by 28.88 per cent to a current median of $579,975. Houses in Don, Tas, underwent a 22.36 per cent spike in values – now sitting on $388,500. Boyanup was WA’s fastest-growing suburb, with houses increasing by 21.6 per cent to $492,500. The NT was home to lowest entry into the rankings, with houses in Nightcliff experiencing a 16.84 per cent increase to $850,000.